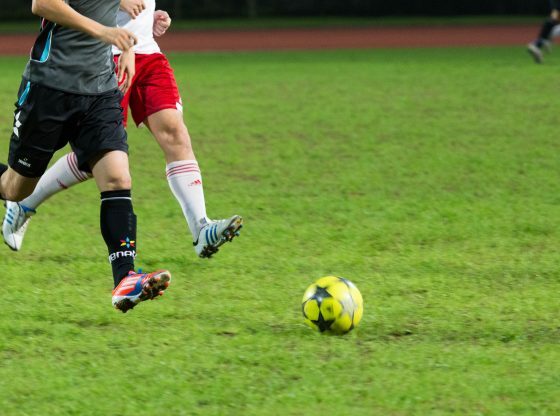 When looking at the team rosters of the recent World Cup and Asian Cup squads, it appears that the naturalisation of football players has become common practice all around the world. However, there is still often an important distinction to be made between players who obtain a foreign nationality by fulfilling residence criteria and the ones who make their claim based on ethnic roots. Arguably, the first path has remained more controversial than the latter, but for the Chinese Football Association (CFA) even the latter, supposedly straightforward, route has turned out to be a journey of unexpected discomfort. Nonetheless, the beginning appeared to be quite smooth. On 25 February 2019, Norwegian-born John Hou Sæter entered the pitch at the Suzhou Olympic Sports Centre as a Chinese citizen. His new club, Beijing Guoan, went on to lose the Chinese Super Cup that day, but that hardly diminished the historic moment which unfolded when the 21-year-old made his debut in the 72nd minute. John Hou Sæter, who is also known under his Chinese name Hou Yongyong, was born in 1988 in Trondheim, Norway to a Chinese mother and a Norwegian father. He represented his country of birth several times at the youth level and has frequently been noted as a promising talent to watch out for. Nonetheless, he also grew up in a mixed-cultural household, with home-made Chinese cuisine and fluency in Mandarin. During his childhood he also travelled frequently to China to visit his relatives. However, a possible football career in China did not seem to be a relevant scenario at the time. The interest in foreign-born players of mixed-ethnic heritage has only surfaced recently, and it was not – as has been boldly assumed – the result of a policy directive to explore additional resources for the national team. Instead, some clubs in the Chinese Super League saw in it a worthwhile opportunity following a number of rule changes that have made it rather difficult for teams to boost their competitiveness. At the end of 2018, the People’s Daily confirmed that Beijing Guoan actively pursued the possible naturalisation of both Hou Yongyong and English-Chinese Nico Yennaris. Other teams soon followed suit, with Guangzhou Evergrande signing former Everton player Tyias Browning and Peruvian-Chinese Roberto Siucho. Eventually, Shanghai Shenhua also jumped on the bandwagon and secured former Gabon international Alexander N’Doumbou, also known as Qian Jiegei. The process of naturalisation looked rather straightforward at first. According to the Nationality Law of the People’s Republic of China (PRC), foreign nationals may apply for naturalisation if ‘they are near relatives of Chinese nationals’. This is fully in line with FIFA’s statutes on the eligibility of players to represent a country, provided they can prove at least one biological parent or grandparent was born there and they have not yet represented another nation in an official tournament. As the PRC does not recognise dual citizenship, the applicants would also need to revoke their previous nationality. Interestingly, these specific cases of naturalisation do not even need to touch on the more sensitive issues of residence requirements or birthplace that usually lead to heated debates and have recently put the Qatar Football Association under pressure. As early as 13 February 2019, pictures on Chinese social media showed Hou Yongyong in front of Beijing’s Public Security Bureau, proudly holding his new passport up to the camera. Soon after, images of Nico Yennaris’ ID circulated as well, referring to him by his newly chosen name, Li Ke. Both of them have reportedly taken up the ethnic identity of Han-Chinese. However, when the players were on the way to their first league game of the season, and roughly one week after Hou’s debut in the Super Cup, the Chinese Football Association suddenly hit the brakes. In a hasty announcement it suspended the eligible status of naturalised players for the coming weeks in order to work out new regulations for their accommodation in the Chinese Super League. This left both clubs and players confused. In view of the unclear situation, Guangzhou Evergrande has decided to take things more slowly and has postponed the naturalisation of Browning to next season. Three weeks into the new season and shortly after FIFA’s international break, the CFA finally gave the green light to clubs signing naturalised players while also publishing comprehensive guidelines for how this is to be managed. From now on, naturalised players are required to develop and express their ‘patriotic feelings’. Some of the methods to achieve this include the study of Chinese history and Chinese language, as well as the singing of the national anthem. More controversially, the clubs also need to send monthly reports on both the performance and ‘thinking’ of their naturalised players to the football association. While preconditions for obtaining a new nationality are not uncommon around the world, these rules would apply to people who had already obtained full Chinese citizenship but who would be treated differently due to their non-Chinese origin. In fact, the CFA has previously been confronted with the question of differentiation between ‘first-class’ and ‘second-class’ citizens when dealing with the eligibility of players from Hong Kong, whose identity also falls under China’s nationality law. That said, there has been no further clarification to what extent the naturalised players would be eligible to play in the national team – or even national youth teams, as Hou Yongyong could still qualify to play for the U23 squad. While the naturalisation of players fits conveniently into the journalistic narrative that China would like to boost its failing national team, the slow and late reaction of the football association rather suggests that this approach was not blessed with the necessary approval from above. The fact that China experienced its first cases of naturalisation only in 2019 would suggest that there is more to it than just a legal process. As the PRC does not recognise dual citizenship, it has often been argued that it would be difficult to convince foreign-born athletes with Chinese ancestry to switch their allegiance. But this is unlikely to be the main obstacle. The commitment to having mixed-ethnic players joining the Chinese national team in the near future is rather a question of political will. It is yet to be seen whether the Chinese leadership, or indeed the media and football fans, are ready for unfamiliar faces to be representing their country. From a purely sporting perspective, the Chinese Football Association could have no reasonable objection to utilising all resources at its disposal. The discomfort clearly comes from somewhere else. Dr Tobias Zuser (@duwenzhe) is currently teaching the sociology course Sport and Society in China at Hong Kong Baptist University. His book chapter ‘Who is Chinese? Multi-Ethnic Soccer Representation’ is set for publication later this year. Image Credit: CC by See-ming Lee/Flickr. 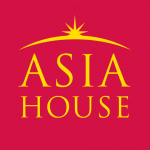 * Articles published by The Asia Dialogue represent the views of the author and not necessarily those of The Asia Dialogue or affiliated institutions.